Bernkastel’s cuteness is the miracle of universe. Just when I realized that my copy of Beat Blade Haruka is still lying around unopened, Alicesoft announced two new interesting games to the fans. The first one is the sequel to the famous Toushin Toshi seies (or known as Tournament of the Gods in the US) and a dark-looking visual novel called AliveZ which takes place in a similar world as Alicesoft’s classic AmbivalenZ. Toushin Toshi is a fun series where you enter a strange tournament accompanied by a female partner. If you defeat an opponent, you will be free to do everything you please to the opponent’s partner for the next 12 hours as long as it doesn’t involve death. The battle in the tournament is one on one and you’re free to use any kind weapons except vehicles. If you win the tournament you will have the privilege to do everything you want and get anything you desire in the city. There’s also a dungeon crawling element in the game where you can explore the local dungeon to train and fight various monster girls. And since they’re monster GIRLS, you can always have a “tender moment” with them once you defeat them. The story of Toushin Toshi 3 seems to follow the last event of Toushin Toshi 2 where the main character, Seed, ended up trapped in a dungeon for a year. The story in the third installment of the game seems to follow Hazuki, the childhood friend of Seed, who is looking for him. Of course no organized tournament in RPG story is free from conspiracy so you must unveil the secret behind this fishy event and rescuing your childhood friend without losing to anybody. It’s been a long time since I played Toushin Toshi 2 and I regret lending it to a friend since it never came back to my hand since then. Of course there are several points I forgot from the game but one for sure it sure is a fun game indeed (both in gameplay and H). AliveZ is a dark story and I kinda didn’t believe it at first that Alicesoft is the one making it. It looks like something that would jump out from Nitro+’s lineup. Then again Alicesoft once made Atlach=Nacha which can also be considered as a dark VN. AliveZ follow the story of Kai Shinza, a badass looking young man who somehow loves to show his navel. In his world, a strange building called the Crystal Palace suddenly appeared and people suddenly turned into strange creatures called “Kuro” (it’s read as IN. Why? I don’t know myself). Kai must fight the “Kuro” with a blade named Kusanagi (BTW Yamata no Orochi also makes an appearance in this game) which somehow have some kind of connection with the main heroine, Ibara Takeuchi. What are those Kuro creatures all about? Who is Ibara Takeuchi? What’s the deal with the mysterious Crystal Palace? And why am I asking too many questions? You can find the answers in AliveZ once it’s released. AliveZ seems like your typical ‘guy fights strange creatures with cool weapon accompanied by hot girl’ kind of story. I haven’t played AmbivalenZ myself since it’s an old game and it’s so difficult to fin so I can’t form any opinion just yet. But judging from the released art works, I have a feeling this game will be great. Although for some reason some of the art has a rough sketch feeling from it. Maybe that’s just me. Toushin Toshi 3 and AmbivalenZ don’t have a release date yet. But Alicesoft stated they will be released late this year. Yay for them! « More About Persona 4! Two great games from AliceSoft! I’ve taken notice of both games myself, and am eagerly looking forward to their release. 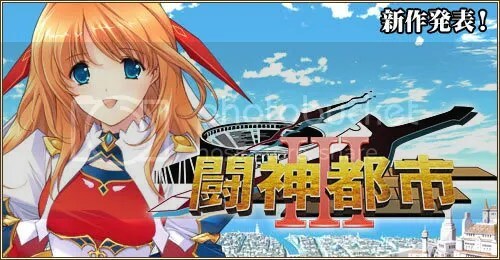 Speaking of AliceSoft, have you tried either Sengoku Rance or Daibanchou? Сегодня вечером познавал содержание инет, при этом к своему удивлению открыл познавательный сайт. Вот смотрите: Магнитотурботрон . Для меня вышеуказанный ресурс оказался весьма важным. До свидания! HI everyone, this is Beau here. We did not plan on announcing this so primeval, but unfortunately having a townswoman forum on our webpage has opened us up to regular spamming during the defunct scarcely any days and week. Without a fulltime collaborate of moderators we were ethical impotent to jam up the scourge of spamming and we would more snip it in the bud now. All forums residue obtainable to scan, but get been closed to any late-model posts. Ill evenly and get to deleting all the spam posts during the coming week. Our rationale since impressive to Reddit is we pull down a purpose built forum where a lot of the quel est le cours du bitcoin Cryptocurrency community already resides, in totalling to a slew of anti-spamming tools and features. There is just so myriad benefits to it, that had I set up known in the foremost mortify then I would have able started the forum there. Recettear English Version is Out!